CAMPBELL, JAMES, specialist in hemp production; fl. 1806–17. 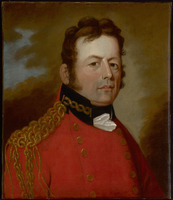 There were quite a number of James Campbells in Quebec during the period 1783–1824: three of them, a loyalist, a half-pay officer of the 84th Foot, and a half-pay soldier of the 78th Foot, requested land in various townships; a fourth was convicted of assault. The James Campbell who was a specialist in the production of hemp emigrated from Scotland in 1806, shortly after Charles Frederick Grece*, who was also a specialist in this domain. According to official documents (but not the later claims of the two entrepreneurs), the British government had promised them advances of £400 each to introduce hemp culture into Lower Canada; the arrangement included a right of withdrawal by the government, should the need arise. This initiative was one of a series of measures that had been adopted in London and the colony beginning in the 1790s. Full of big ideas, Campbell landed at Quebec in the autumn of 1806 with 18 skilled workers – farmers, millwrights, carpenters, and blacksmiths – and the members of his family. 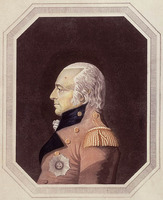 Shortly after his arrival Thomas Dunn, the civil administrator of Lower Canada, promised him all possible assistance from the government. London’s real or imagined promises did not materialize: there was no cleared land to be given Campbell immediately, nor any seed. The Executive Council did, however, agree to reimburse him for part of his expenses, up to £300, on presentation of “satisfactory” receipts. At the beginning of 1807 the government bought some land at Bécancour; Campbell was to be allowed to occupy it without charge for five years and would receive fair reimbursement for improvements he made to it. Isaac Window Clarke, the government agent, promised to obtain 300 bushels of seed so that he might begin growing hemp as soon as possible. Dunn reported on these efforts to the British government. Campbell’s nephew John Lambert, well known for his account of his travels in Lower Canada, claimed that the Executive Council had refused to provide Campbell with additional financial aid until he put up buildings and manufactured some hemp, and also that the seed obtained for him was sterile. Campbell made a fresh attempt with the council. That body was aware of the risk of losing the advance payments already granted to Campbell, and anxious to realize a profit on the £2,400 invested in hemp-growing; thus it reluctantly made him another loan and considered obtaining reimbursement by using him to process, at a reasonable price, all the hemp produced in the Trois-Rivières region, which the government had promised to buy. There had been some question of whether it would be possible to get this crop started without a government promise to purchase all the raw hemp at a fixed price. In 1807 Campbell had little success in raising a crop because of the poor quality of the seed. The following year Governor Craig praised Grece’s efforts but called Campbell a slacker and a speculator who did not carry out his promises despite frequent requests for funds. However, in September Campbell announced the opening of a hemp-mill on his land. As the government turned a deaf ear to his grievances, in 1811 Campbell presented a long petition to the Executive Council giving his version of things. He claimed that in London he had first been appointed agent for inspecting hemp in the districts of Trois-Rivières and Quebec – although the British government strictly forbad anyone to be a producer and inspector at the same time – and that he had been promised a grant of 150 acres of cleared land in Lower Canada, with certain implements being put at his disposal free of charge; as for remuneration, he was to receive a sum of money to pay for his voyage, an advance of £400, a salary of £200 a year for life if he carried out his obligations, and £43 for every ton of marketable hemp harvested. In fact he had received land of mediocre quality that could not produce a crop without three or four years of hard work; he had also lost his 18 experts, in addition to several months of salary advances to them, because of the impossibility of setting to work immediately and also because of the strong demand for skilled manpower in the colony. Having been forced to mortgage his property, he had been faced with an attachment on the order of £2,000 just when he was reaching his goal. All in all, he said, he had lost more than £2,168. The council was unmoved and agreed only to continue Campbell’s salary until 1 Nov. 1811, a decision that was confirmed by the Privy Council committee for trade in London. Then Campbell’s trail becomes blurred: it may have been he who signed an address to Governor Prevost in 1813. In any event, along with Grece he submitted a new plan to the government in 1814; the last reference to him was made when some land was put up for sheriff’s sale at Trois-Rivières in 1817. PAC, MG 11, [CO 42] Q, 99: 249; 101–1: 2; 101–2: 372; 102: 44; 103: 20, 35–36; 107: 159, 373; 117–1: 104–38, 141–43, 146; 117–2: 185; 120: 7; 128–1: 196; RG 1, E1; L3L: 27–42, 283, 538, 563, 575, 577, 641–46, 586–704, 2084, 2971–74, 3075–82, 3797, 3906, 5320–26, 5341–48, 15218–33, 22162, 30960–1018, 31095–112, 65819–22, 72579–83, 78473–76, 81241–360, 83434–39, 85235–44, 882484–303, 90996–1013, 96388; RG 4, A1. John Lambert, Travels through Lower Canada, and the United States of North America in the years 1806, 1807, and 1808 . . . (3v., London, 1810), 1: xiv-xviii, 183, 198, 232, 468–95; 2: 57. Quebec Gazette, 1 Sept. 1808, 30 Dec. 1813, 24 April 1817, 18 Jan. 1821, 1 April 1824. Jean-Pierre Wallot, “CAMPBELL, JAMES,” in Dictionary of Canadian Biography, vol. 5, University of Toronto/Université Laval, 2003–, accessed April 22, 2019, http://www.biographi.ca/en/bio/campbell_james_5E.html.